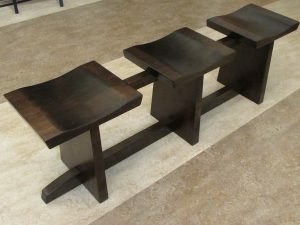 Our Amish craftsmen continue to delight with new furniture items that appeal to those looking for modern style in their homes. Rather than being mired in old boxy, square styles, many of the 70+ Amish artisans that we work with make an effort to stay current with trends to meet customer demands. The result? Contemporary furniture built with the same enduring quality that is made right here in Ohio. As with all of our furniture, these pieces are available for customization. 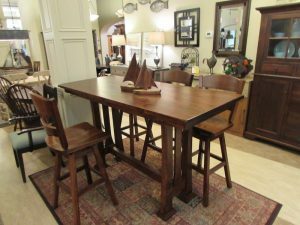 Because each item is made-to-order, both the size and stain color can be specified to match or accent your personal décor style. 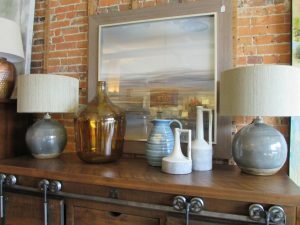 Drop by the showroom to see the quality and style—and don’t miss the accessories that are constantly being updated in the store. Artwork, lamps, and other fun home items are all changing every week!